BELIZE CITY–Two men are being treated at the Karl Heusner Memorial Hospital (KHMH) after one was shot multiple times and the other seriously stabbed. The first incident occurred at about 4:45 yesterday morning. 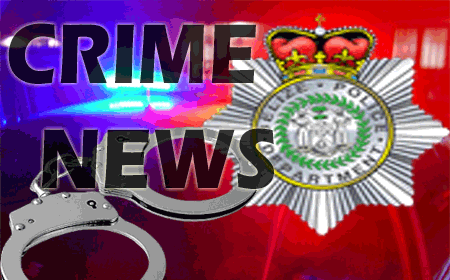 Dean Murrillo, 39, of St. Matthews, Cayo District, was walking on Kraal Road towards Fabers Road, when he reached the junction of Kraal Road and Waight Street, a white SUV passed him and shortly after, two armed men approached him and fired several shots at him, hitting him in the lower back, the right arm and the left side. The two men then got back into the vehicle and escaped from the area. Murrillo was taken to the Karl Heusner Memorial Hospital, where he was admitted in a critical but stable condition. KREM Radio reported that Murrillo, who was originally a resident of Kraal Road, had relocated to St. Matthews. He was sleeping in his house on Kraal Road, however, he was awakened by a domestic dispute in the neighborhood. Murrillo went out to try to defuse the situation, after which he was walking towards Waight Street when he was shot. Police have detained three men in connection with the incident. Shortly after the attempt on Murrillo’s life, at about 4:50 yesterday morning, police again went back to Kraal Road, this time to No. 26 Kraal Road, where they saw a man known to them as Tyron Scott, 28, of Unity Street, Belize City, lying on the ground suffering from stab wounds in his back and shoulder. Police said that at about 4:35 a.m., Scott was visiting a friend and while waiting for his friend to come downstairs, he was approached from behind by an unknown person, who stabbed him. Scott was taken to the KHMH, where he is now listed in a stable condition. Police investigations continue.